Three function: inflection, measure-pressure, deflection. 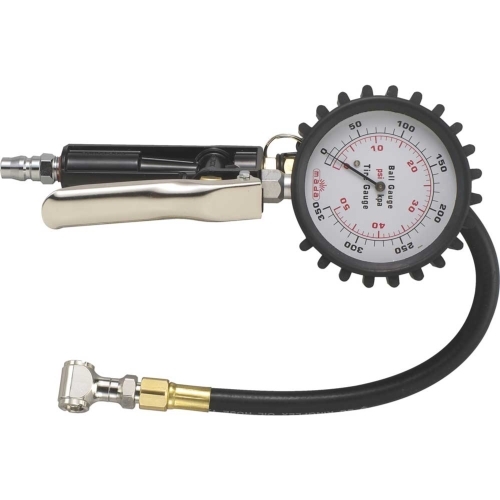 50psi with assembly 02, for bicycle and motorcycle. Standard Hose Length is 36cm It can match different parts and use on the various relative bicycle, ball. The gauge is big easy to read the number. Packing: MADA INNER BOX , 20pcs/carton.